Bandai America's website recently announced the Limited Edition products for sale at the Bandai booth during the San Diego Comic Con 2014. Check out these after the jump and get ready with your wallets for these juicy exclusives at the Bandai America booth #121. 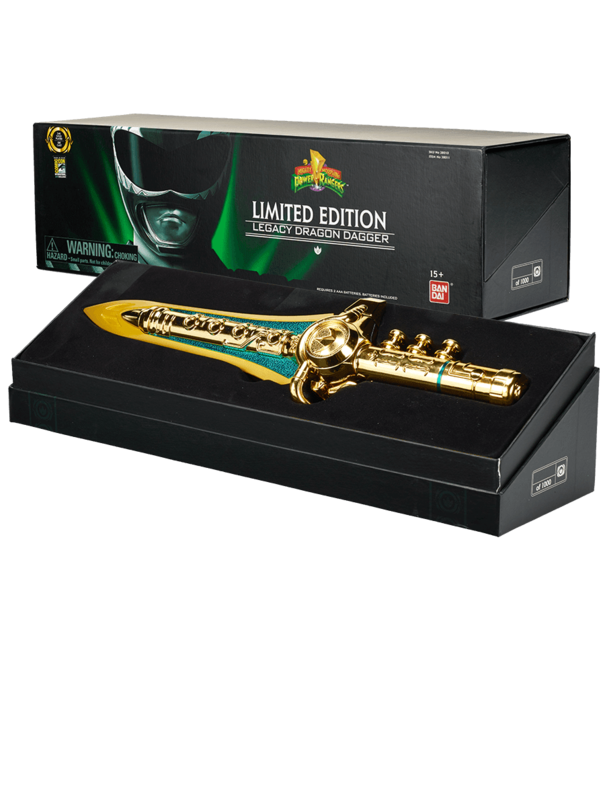 First is a Limited Edition Legacy Dragon Dagger. This exclusive edition is in full 24 Karat gold plating with function buttons to play sounds from the original Mighty Morphin. The gold plated Dragon Dagger is also inclusive with a holder. Only 1,000 pieces will be sold during the event for $150.00. 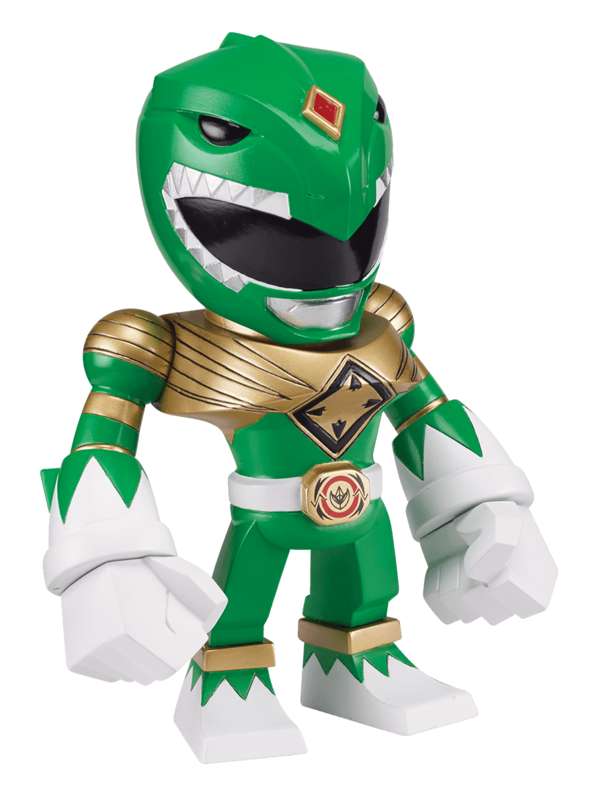 Next is the Limited Edition Tokyo Vinyl® Mighty Morphin POWER RANGERS Green Ranger styled by acclaimed Japanese vinyl artist TOUMA. Only 1,000 produced, this collectable figure is an essential piece to any Power Rangers collection! Price is $25.00. 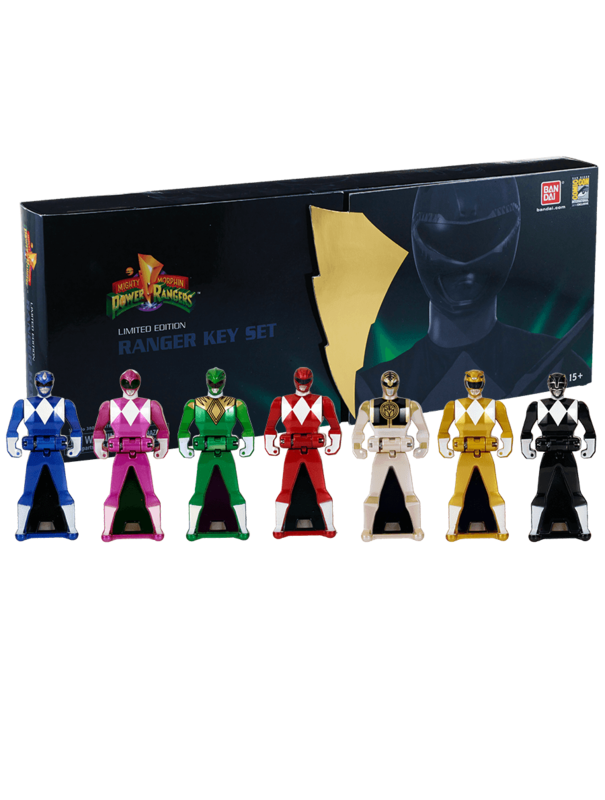 Finally us the Limited Edition Mighty Morphin POWER RANGERS Legendary Ranger Key Set! This set includes all seven Mighty Morphin Power Rangers, including exclusive Pink Ranger and Yellow Ranger which are unavailable outside of this collection! 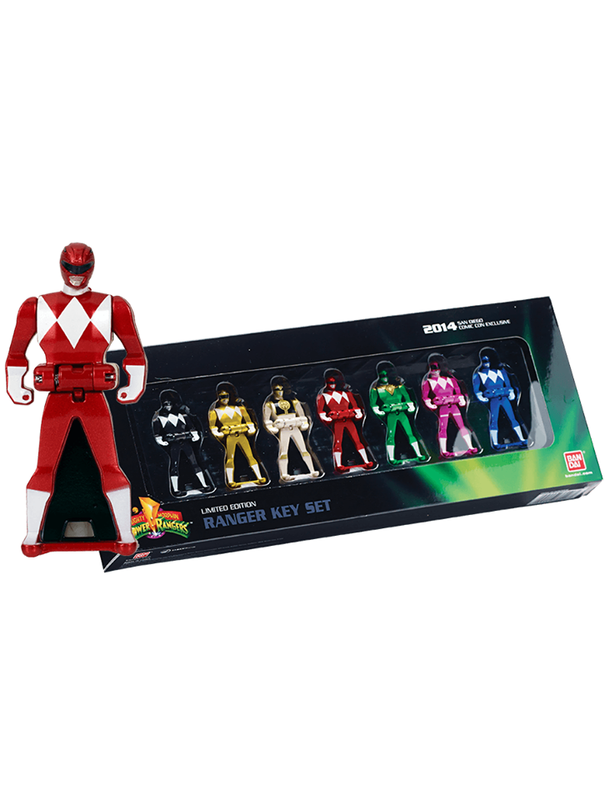 The Ranger Keys included in the complete set unlock sounds and features throughout the Power Rangers Super Megaforce toy line, and can be scanned for digital play with the Power Rangers Scanner App available for Apple and Android. Only 700 produced and priced $30.00.